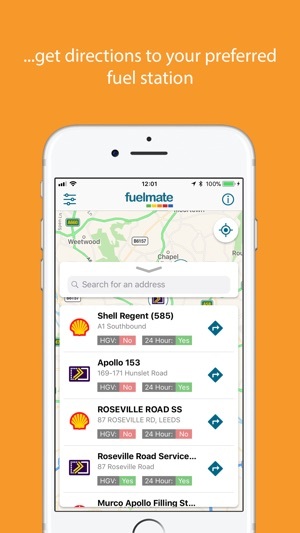 This fuel station location App brought to you by Fuelmate, allows users to find fuel stations throughout the UK that will accept their fuel card and provides directions on how to get there based on their GPS location. 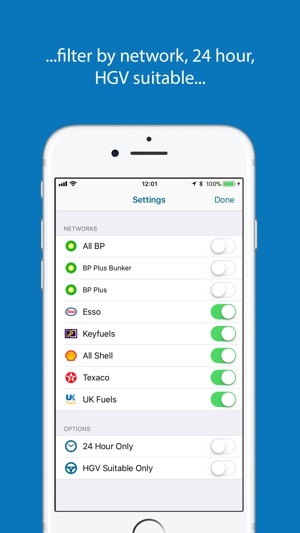 The App supports fuel station searches for BP Bunker, BP Plus, Keyfuels, UK fuels, Esso, Shell Fleet, Shell CRT and Texaco fuel card networks. A user can search for all the fuel card networks or filter by specific network at locations based on their GPS location or by searching for Town or Postcode. Once the search results are displayed, users can then get directions based on their current GPS location to their chosen fuel station. 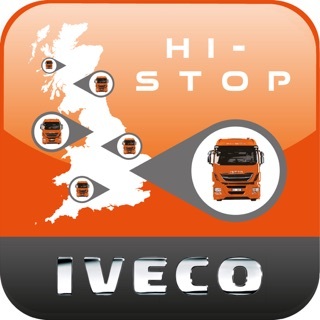 This app is free to download and only displays fuel stations in the United Kingdom. Whilst Fuelmate and our suppliers try to supply the most up to date information on our mapping, we cannot ensure that all information will always be accurate and up to date. Please do check your data package allowance with your network provider as data charges may apply. 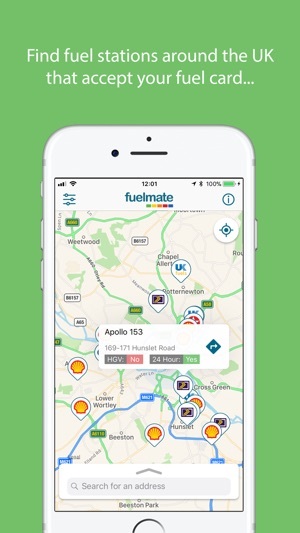 Fuelmate Ltd. cannot accept liability for any loss, damage or inconvenience caused as a result of using this App. 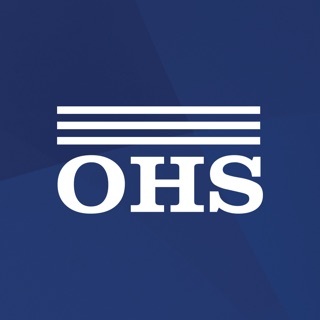 Please remember, only use this App when safe to do so. Do not use whilst driving. I like this. Shows all the petrol stations near you, or in a different nominated location, and links to a map for directions. You can filter by fuel brand or other things too. Very useful. I can’t see post codes of the sites in the app. In order to use say nav, I have to first run app, find location that suits me, then google address details. Can more details be added? © 2017 Showtime Online Ltd.